We are just off Ocean Street, which is the main route to the Santa Cruz Beach Boardwalk from state highways 1 and 17 (see map below). HOLIDAY HOUR: December 24th, 2017, noon to 3pm. If traveling south on Ocean Street towards the Santa Cruz Beach Boardwalk, make a left turn on Broadway and start to head up the hill. 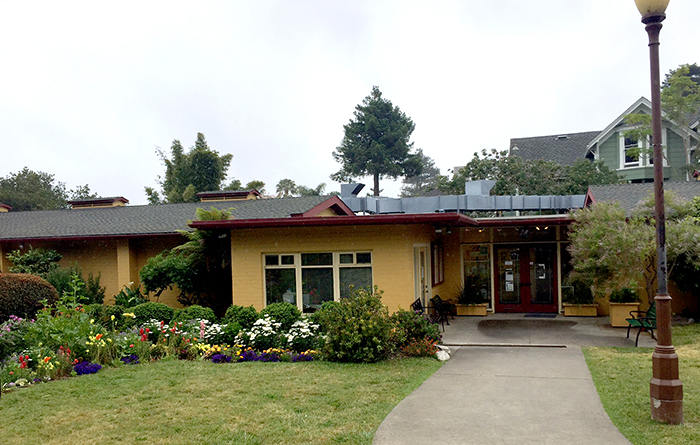 Turn at the first right onto Roosevelt Terrace and then take the first right into the Santa Cruz Art League parking lot.